Join us in Grand Rapids, Michigan, October 4-5 for the 2019 AHTA Annual Conference. 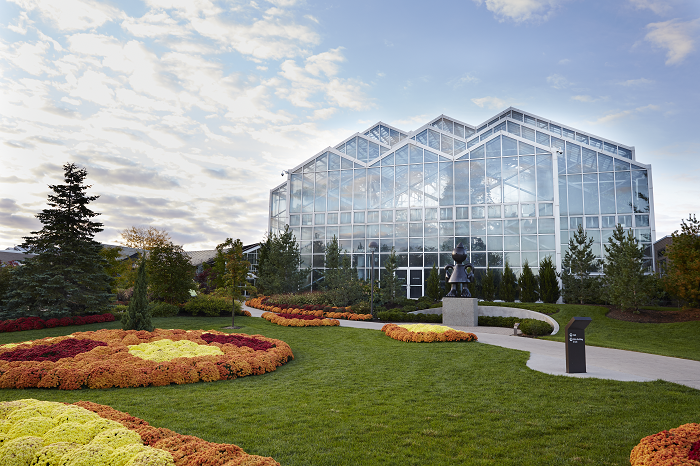 Experience all that Grand Rapids scenic landscape has to offer while also connecting with horticulture and therapy-focused professionals from around the world. Create meaningful connections, experience professional development opportunities and engage in interactive sessions. Stay tuned! Additional conference details will be announced as they become available. Curious about all that Grand Rapids has to offer? A highlight of the conference this year will be a visit to Frederik Meijer Gardens & Sculpture Park, which Experience Grand Rapids states has earned recognition as "Michigan's Second Most Popular Tourist Attraction, One of the World's 100 Most Visited Art Museums, and One of the Top 30 Must-See Museums on the Planet". We can't wait to see you there and share in this experience with you! Make a difference and help advance the profession of horticultural therapy by joining AHTA. Your membership will help support our mission to educate others about horticultural therapy, ensuring greater public awareness and access. Membership keeps you informed about the latest horticultural therapy news, gives you access to outstanding educational and networking opportunities, and more!